Being sort of a nerd when it comes to science, botany, animals and insects, it has been a regular practice to study, scrutinize and read up on many of the critters, diseases, and earthly creations that I stumble upon. The slug in the garden. The spider in the bathroom. The fungus growing along the back porch. They are all to be inspected, observed and marveled upon. Those science, Geographic and Discovery television channels are often on in our house. I have seen the octopus squeeze its body through a tiny little opening and escape from the hold of the boat, slipping back into the ocean over and over, many times. I have watched the lioness take down the wildebeest and not looked away, the bees doing their mating dance, the ants finishing off a grisly carcass when the jackals are done with it. I stare, fascinated, at those luminescent deep-sea creatures with razor-sharp underbites that lurk where no light shines. There is one, however, that tends to just skeeve me out. I can’t get past their creepiness. It is the Scutigera. 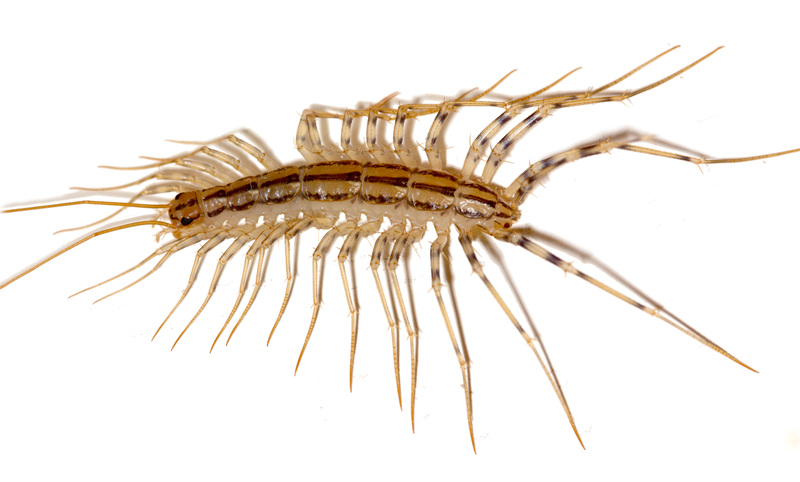 “Scutigera coleoptrata – one of several species commonly known as the house centipede – is a typically yellowish-grey centipede with up to 15 pairs of legs.” Have any of you ever encountered these guys? I found one in the kitchen sink. Although I have come across them a number of times over the years, I had to strongly resist the flight response in order to deal with it. I wasn’t going to let it stick around. This is not the kind of thing you can just catch and put outside like a spider (I relocate our spiders). These guys are fast as lightning. Along with those fifteen pairs of legs (which seem to have knees!!!) they also appear to have some kind of internal radar, where they intuit your moves when you try to get them. They look menacing too, even though they eat other bugs and tend to mind their own business. I know there are some lurking in the dark of the basement but I kind of put that out of my mind because they tended to stay down there. I wish they would continue to stay down there (I never go down there). But every once in a while, one will appear in the main part of the house, and I. just. never. get. used. to. that. They may live up to seven years. SEVEN YEARS! They can bite and they do have venom, but I have never known anyone that was bit by one. Yet. When I see one, a combination of fascination and revulsion washes over me that takes a while to abate. 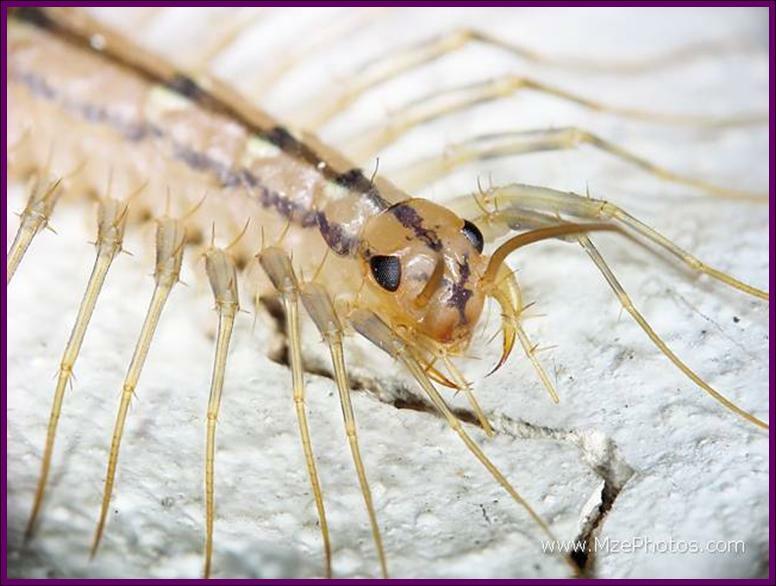 This entry was posted in Animal Stories, Are you kidding me?, Coping, Uncategorized, Wildlife and tagged creepy bugs, house centipede, nightmare bug, scary insect, scutigera. Bookmark the permalink. what an amazing and diverse world we live in! EWWWW! The only thing worse for me is millipedes. Like the ones in garrison that used to fall in my hair from the ceiling. And the HUGE one in museum of natural history. That one must be 8 feet long. Nightmares are made from these!